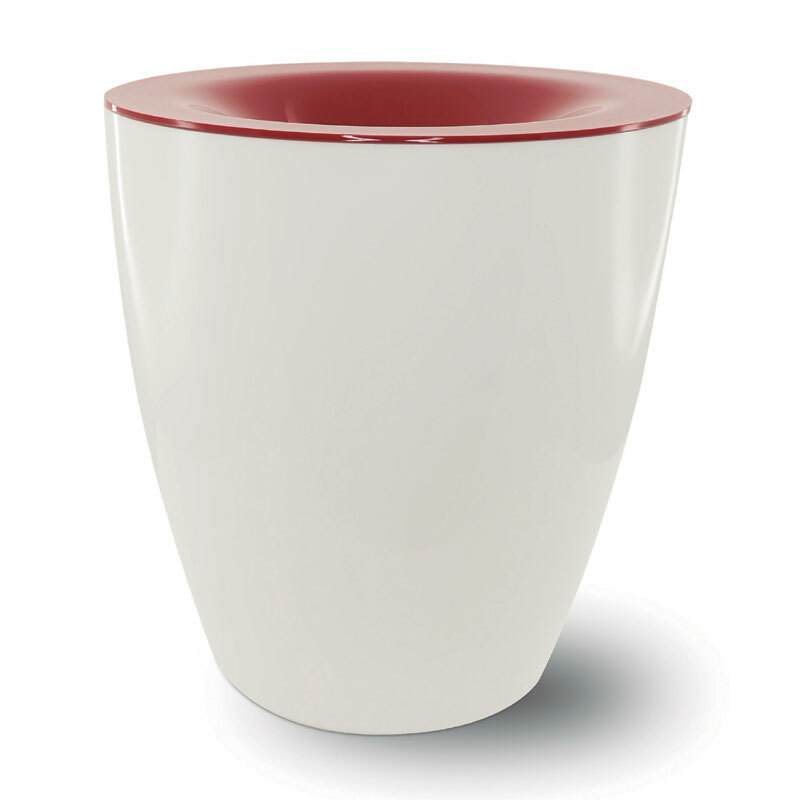 An attractive wine spittoon in white and burgundy; stylish accessory for professional wine tasting events and tasting rooms. Light but sturdy, this 2 litre wine spittoon has a specially design funnel to collect wine residue with minimal spillage or back-splash. Ideal size for 4-6 people sharing, or use as an individual spittoon. Easy to empty and clean, the lid pops off and can be stacked inside for space-saving storage.